Voltage clamp with stochastic channels. There are four cases varying in the density of channels in the model (from 2 or to 16 per square micron). 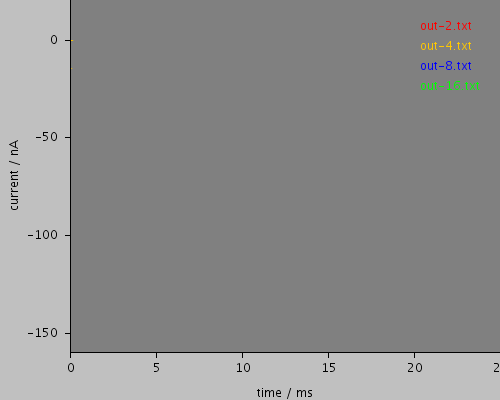 Each case is run 400 times of which six are shown in the default plots. 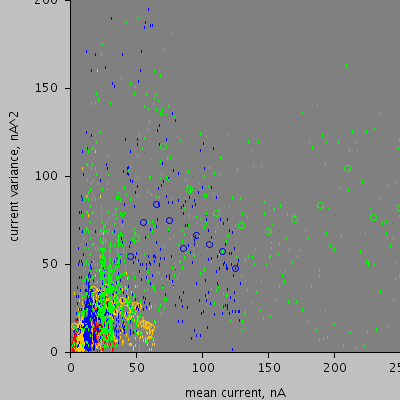 The mean variance analysis operates on the 5-10 ms time window and shows the variance against the mean current. The form should be a parabola, with the slope at the origin giving the single channel conductance and the intercept on the X axis the total number of channels. 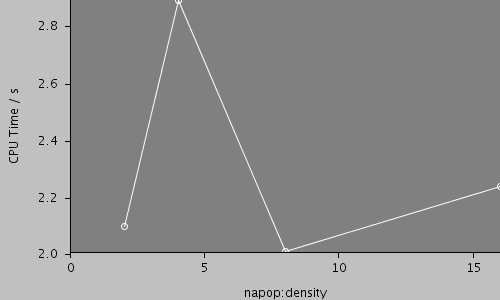 <RunSet vary="napop:density" values="[2, 4, 8, 16]per_um2"
conductance and the intercept on the X axis the total number of channels.